Saul Fairhlolm were once again proud to sponsor the Annual Lincoln Book Festival, this year giving support to presentations by two renowned authors, Marcus Chown and Rebecca Fraser. Well-known BBC broadcaster and astrophysicist Marcus Chown, gave a talk on his book ‘The Ascent of Gravity’, and acclaimed historian Rebecca Fraser gave a talk on her books ‘The Mayflower, the Families, the Voyage and the Founding of America’. Both talks and the question and answer session with the authors resulted in a highly entertaining and informative evening. We were delighted to see the evening so well attended and one of our associates, Greg, had the chance to talk with both authors over dinner after the event, which was also attended by members of the committee who organise the Lincoln Book Festival. We’d like to thank all the members of the committee and particularly Phil Williams and Jane Duncan for giving us the opportunity to act as sponsors again this year and for organising the evening’s event. 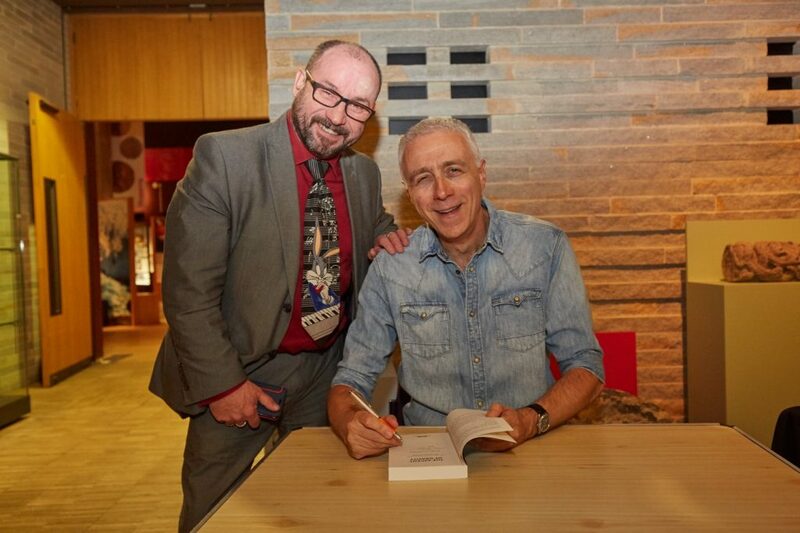 Pictured is Greg at the book signing with Marcus Chown. Thank you to the photographer Phil Crow.